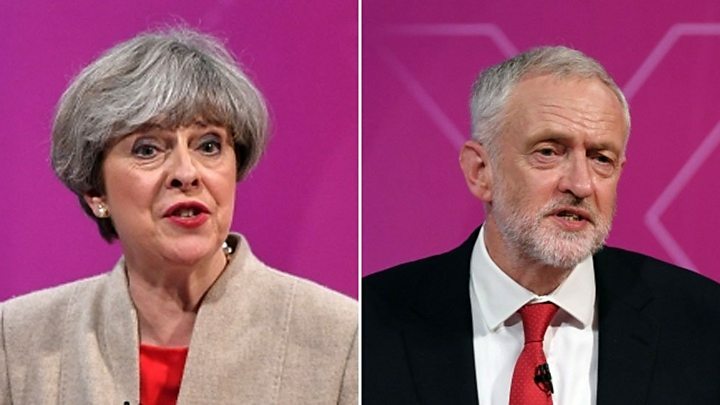 For Theresa May and Jeremy Corbyn, the debates could have gone worse. I’m not sure the country, faced with two such unappealing leadership prospects, will be feeling the same sense of relief. Jeremy Corbyn, a man who vowed to eschew the smoke and mirrors of professional politicians, has clearly submitted himself at last to the rigours of media training – and it has paid off. He also displayed the advantages of a lifetime spent addressing political meetings. But he got dangerously irritable when questions got tough – “I suggest you read it,” he hissed at a gentleman who dared criticise his manifesto – and prevaricated on antisemitism, IRA terrorism and the nuclear button. His refusal to directly describe the IRA as terrorists, or condemn Ken Livingstone’s lies about the Holocaust, should dog him for life. Theresa May, by contrast, excelled in facing aggressive questions. Confronted by a young woman humiliated in an medical examination, she listened and accepted the facts of the case. Only twice did she hesitate, when challenged from the left by an NHS nurse and from the right by an opponent of foreign aid who seemed convinced the prime minister was directly funding Kim Jong-un. Those three clips will be replayed repeatedly by the PM’s enemies over the next few days. But unlike her Labour opponent, the prime minister never seemed to have a positive case to offer. Corbyn did well talking up Labour’s strengths on schools and the NHS; the PM resorted to repeating clichés about “the magic money tree”. She’s stemmed the bleeding from her problematic week, but will that be enough to win a strong mandate? Not at the current rate. Perhaps the wisest verdict on the evening came on Twitter, from Gizmodo editor James O’Malley. “Isn’t it great we live in a country where the general public can slag off the prime minister to her face, live on national TV?”, he pointed out. Too few other countries can say the same.